Double lot on Lake Road! 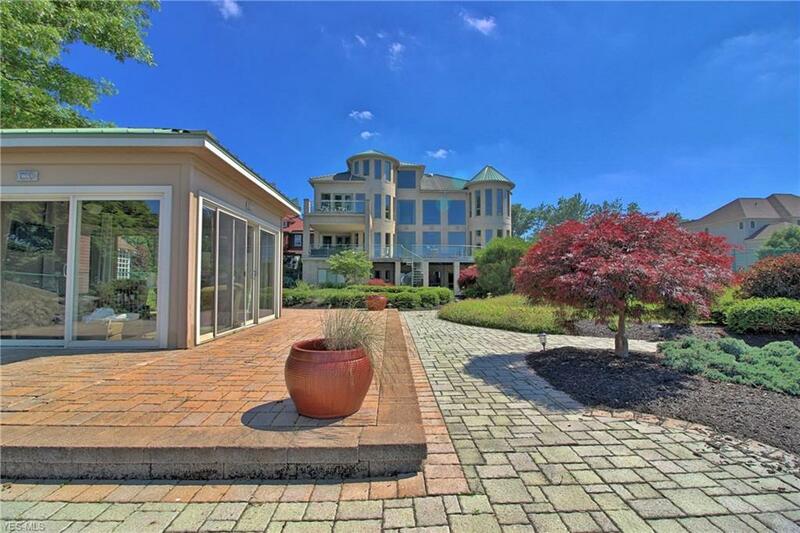 One of the finest waterfront homes Northeast Ohio offers... Absolutely no expense spared inside and out. This extraordinary home is truly an entertainer's dream home! Built with exceptional quality and crafted with the finest materials that you have to see to appreciate. Smart home technology built into the finest audio/video and security systems. Chef's dream kitchen with 2 islands, 2 Subzero refrigerators, full-sized Subzero wine cooler, Miele double ovens, built-in Miele steamer & coffee machine, Thermador pro gas range, electric range, beverage coolers, ice machine, multiple sinks plus a pasta faucet, and a butler's pantry with more. Some of the many conveniences include radiant heat floors throughout, a lower level exercise room, spa and theater just to name a few. Outdoor paradise with multi-tiered patios and decks, tennis court, separate enclosed sun room, and so much more. The gated pristine property offers privacy and priceless water views on 1.7 sprawling acres. This includes 2 parcels of land, 1 of which is a build-able lot. Impeccable! House w/o additional lot also available. Bay village has been rated as one of the top communities in all of Northern Ohio! Family-oriented community with excellent schools, many activities, lots of green space, a recently certified Blue Wave beach, and great walk-able neighborhoods. Courtesy of Chestnut Hill Realty, Inc.